FREE DIVING IN THE GRENADINES!! Shaitan of Tortola is offering 2 days FREE diving (Tobago Cays, Mayreau, Palm Island, Union Island only). Minimum stay of ONE week. 2 tank per person per day for those two days. Shaitan of Tortola organizes the diving with "Grenadines Dive" , a first class dive company. A certified Divemaster, equipment if needed, and also a 150HP dive boat are included in this rendezvous dive offer for these locations. Shaitan can easily stay for three days in the Tobago Cays as the boat has two household freezers and a household fridge. 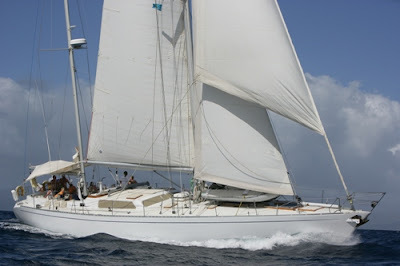 Most yachts need to re-provision with ice, bread etc..... Shaitan has chartered multiple times in the Tobago Cays with a group of eight for 4 days.Come and enjoy the cuisine with award winning Chef Iris on this spacious comfortable yacht.